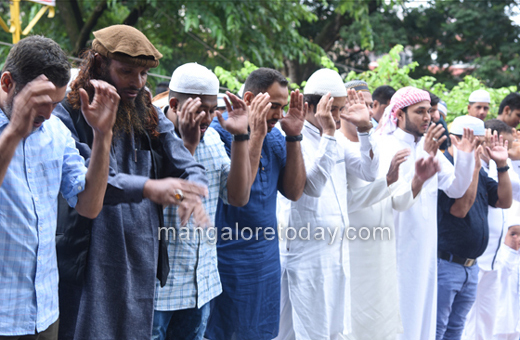 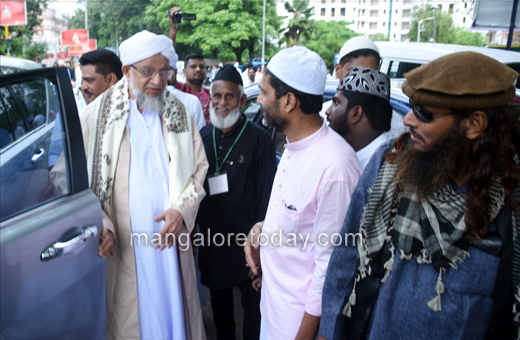 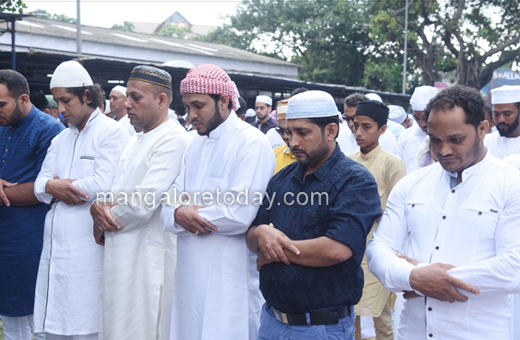 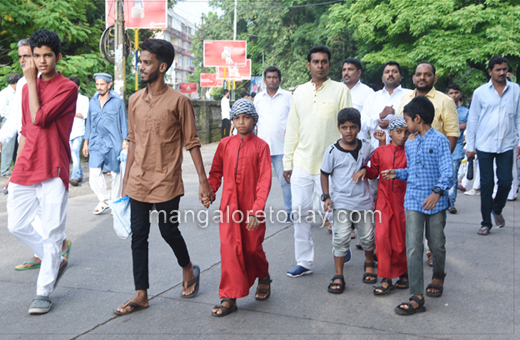 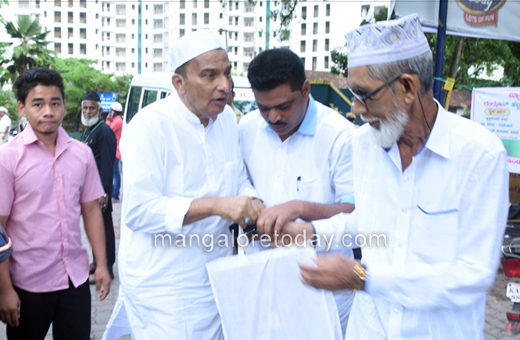 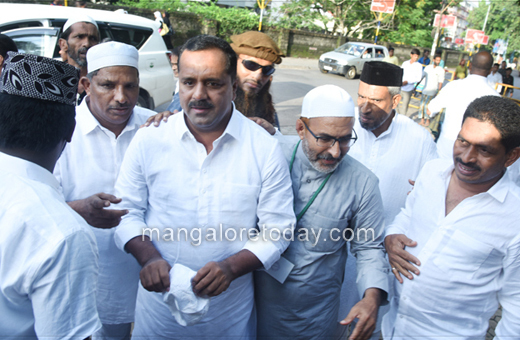 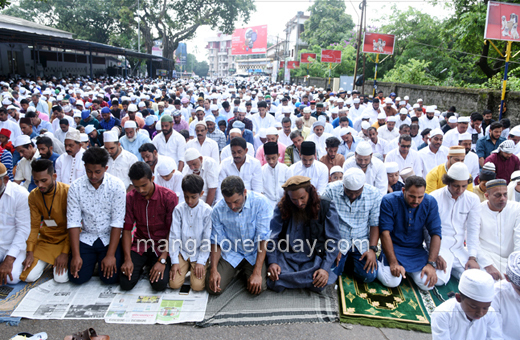 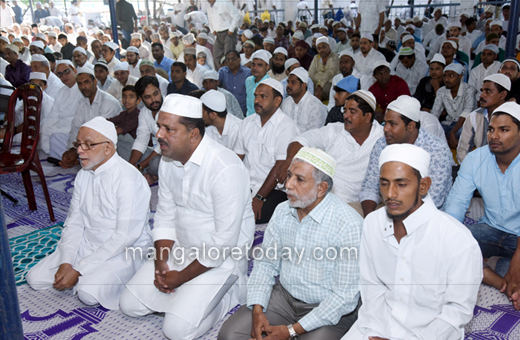 Mangaluru, June 15, 2018: The festival of Eid-ul-Fitr is being celebrated by Muslim brethren with religious fervour across the city and district on June 15, Friday. 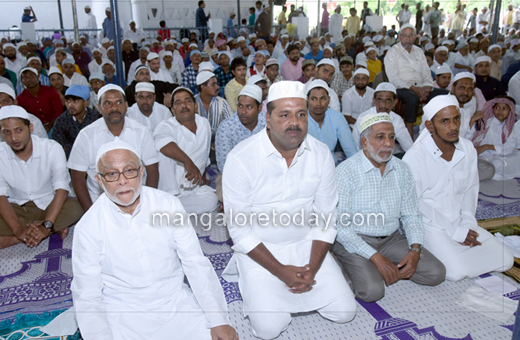 The festival marks the end of the Ramadan fasting and is a day that brings joy and happiness. 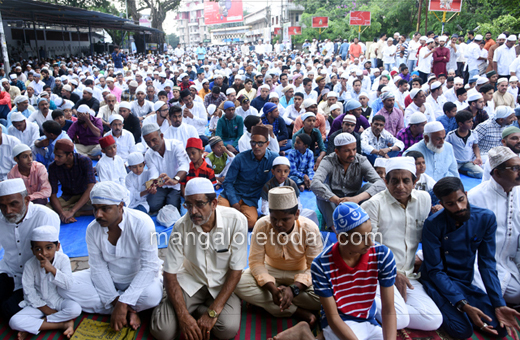 Hundreds of faithful Muslims converged at the Idgah at Light House Hill, at Noor Masjid and various other mosques to offer the special Eid Namaz. 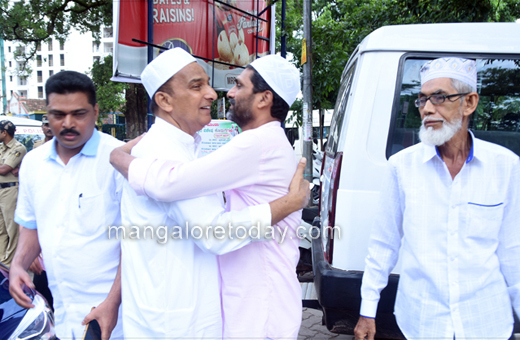 People were also seen greeting each other conveying Eid greetings on the occasion of the most important festival of the Muslims. 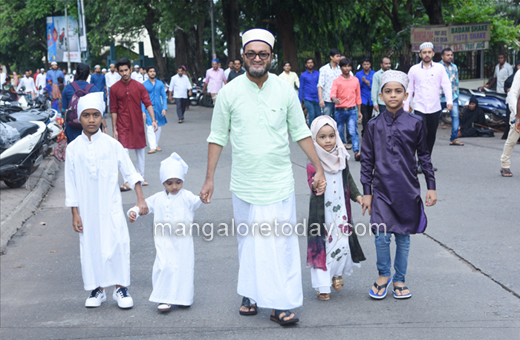 Eid means ‘Festivity and Fitr is ‘to break fast’, thus the celebration signifies the breaking of the fasting period in the month of Ramzan. 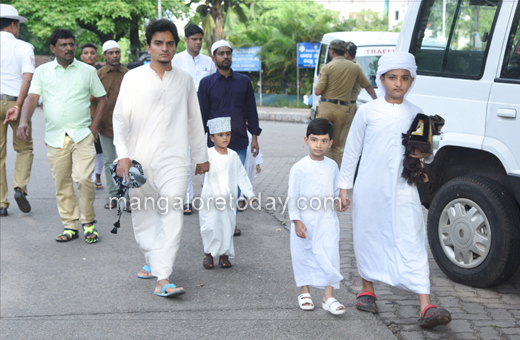 Eid-ul-Fitr is celebrated on the first day of Shawwaal which is the tenth month of the Islamic calendar.